Born in Torrejón de Ardoz near Madrid on 13 December 1989, Rivillos is a winger who came up through the youth ranks at Carnicer Torrejón. The player made his debut in the top flight with Tien 21 Punctum Millenium Pinto. 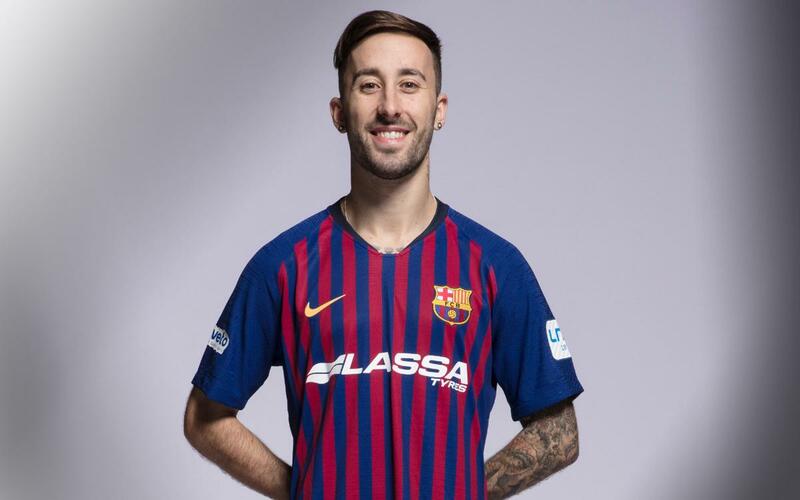 He then returned to Carnicer Torrejón and signed for Movistar Inter in the summer of 2012 to become a key member of the team that won four league titles, three Spanish Cups, a Copa del Rey and a UEFA Futsal Cup in 2016/17. Rivillos is a Spanish international and was part of the squad that won the European Championships in 2016. In that competition he won the Golden Boot for being top scorer alongside his team mate Miguelín. In the summer of 2017 he joined Barça Lassa. A skilful winger who is also an expert dribbler, Rivillos is a great weapon in one on one situations on the court. Left footed, he also has a good goalscoring record and an undeniable will to win.